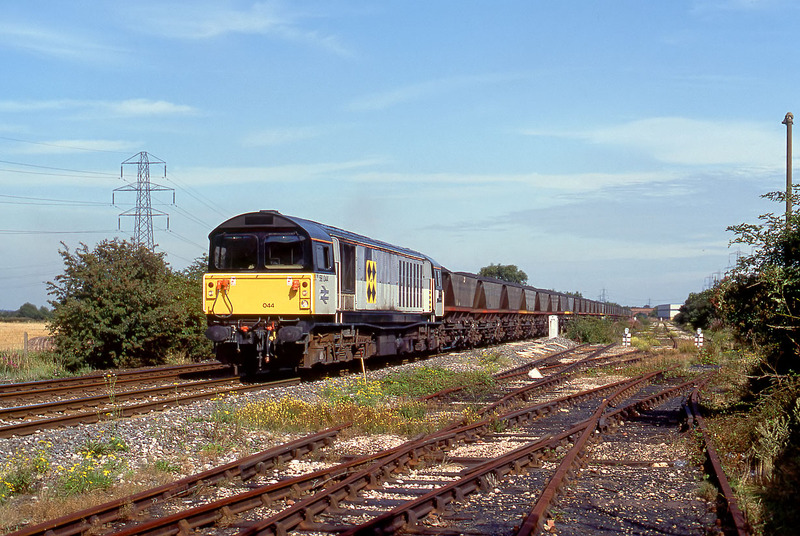 58044 Oxcroft Opencast passes the rusting lines leading into the closed Castle Donington Power Station on a sunny and warm 18 August 1992, with a loaded MGR coal train from Toton. This scene has subsequently changed completely. The lines in the foreground were removed when the power station was demolished, and a new road bridge now crosses the line approximately where the loco is! And of course, Class 58s are no longer in use on the national network.